Most people associate the term “traumatic brain injury” with the type of severe damage that could only be caused by something as drastic a fracture of the skull. However, the truth is that you could have a significant brain injury dramatically affecting your life without you even knowing it. In the first episode in a series on brain injuries, Dr. Daniel Amen and Tana Amen describe the different forms of brain trauma. Tana Amen:	My Shister. All the kids watching this will know what I'm saying when I say, "Shister." It's like a whole thing. Dr. Daniel Amen:	My sister had her 60th birthday party yesterday, and we went and it was awesome. So, talk about brain injury, aging, it's not good for your brain. Tana Amen:	I don't know if I'd classify it as a brain injury, though. Tana Amen:	It's more of a brain assault. Tana Amen:	He probably didn't wanna know what you had to say. Tana Amen:	Well, while you have to back up, you have to explain why. He's got these two sons who, no joke, are the biggest kids I've ever seen for their age. They've always been so big. So, the oldest one now is 14 and I think he's like six foot something. Tana Amen:	Yeah, it's ridiculous. It's like crazy. Dr. Daniel Amen:	225 pounds. Tana Amen:	So, these kids are huge. Dr. Daniel Amen:	They know my thoughts: brain is soft, skull is hard. Tana Amen:	But the kid could play basketball, too. Tana Amen:	But, basketball would be like a perfect fit. Dr. Daniel Amen:	But, anyways, we actually had a really nice, long conversation, because there are helmet companies saying, and they're expensive, like up to $1800 for a helmet, that decreases the forces. And he's like "Well, of course, that will then make football safe." And the problem is helmets decrease skull fractures, they can't stop the jostling around of your brain inside your skull. Tana Amen:	But, all of your discs and your spine and your, you know, that's all at risk as well, and no one really talks about that. So, it's like you can wear a helmet, you're still gonna hurt your brain, but you're also at high risk for other injuries right around your neck area. Dr. Daniel Amen:	Well, and that's actually very sensitive for you at the moment. Tana Amen:	Yes, 'cause I'm suffering from a neck injury. So, I'm not very happy. Well actually, I'm doing ... I'm like one of those people if you give me a plan, I'm gonna work it to death, so I'm very hyper-focused on my plan at the moment because I don't want surgery on my neck, but, yeah. No, I've had to really, really curtail my normal routine and I really have empathy for people who write in and they're like, "I can't do your program, because you inspire me but I can't exercise." I'm like, "Look, I get it. I have to completely revamp everything I'm doing right now, for the last few months, actually." Dr. Daniel Amen:	So, it started by imaging your neck. Dr. Daniel Amen:	And as we've talked about on the show before, you actually had a pretty significant injury to your neck and your head. Dr. Daniel Amen:	And nobody talks about how the most vulnerable day of your life, the number one most vulnerable day of your life, is the day you are born. And, you didn't wanna come out the right way. 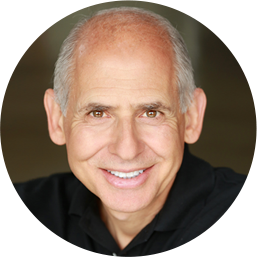 Dr. Daniel Amen:	You were mooning the world. Tana Amen:	I was mooning the world, I was mooning the doctor for sure. I'm like, "I'm not coming, you can't make me." So, he decided he was gonna win, and he reached in and grabbed my foot, and I came out doing the splits. Dr. Daniel Amen:	Oh, no. Ouch. Dr. Daniel Amen:	And why you have scoliosis. Tana Amen:	Yeah, and I don't know. I don't know if that is the reason or not. What I know is I have scoliosis, and so now, I have this neck injury, and I gotta tell you, I, there's nothing I love more, my form of therapy is going into my martial arts classes and just hitting things as hard as I can. I like to hit things as hard as I can, I like to kick things, not people, pads, as hard as I can. It feels so good. Dr. Daniel Amen:	You wanna fantasize about hitting bad people. Tana Amen:	No, no. It's not really ... Well, maybe, but that's not really it. It's a release. I can't explain it, it's like this release that you feel, it just feels good. So, it's just this feeling of like, "Ah," it's relief. So, it's a good feeling. Anybody who practices martial arts, knows what I'm talking about. It's just a good feeling. Dr. Daniel Amen:	And we've actually had many people write in to the show, that they've actually taken up martial arts after listening to you. Tana Amen:	Right, so I love it. So, imagine, I've been doing this for a long time. But, I'm not stupid, okay. So, I now know ... I'm not gonna say I haven't been stupid in the past, and I haven't not listened, and I have not gone in and done that when I shouldn't have, I have. Dr. Daniel Amen:	I, of course, would never say you're stupid. Dr. Daniel Amen:	'Cause then I might get a head injury, that's the whole point of the week. Tana Amen:	When I was passing my black belt test, I did not listen so well, and I did what I shouldn't have done, but now, I really get it, how hard it is for some of you, because I can't do the thing I love. But, what I tell other people, is the same thing that I now have to practice myself: Focus on what you can do, not on what you can't do. I cannot hit stuff right now. 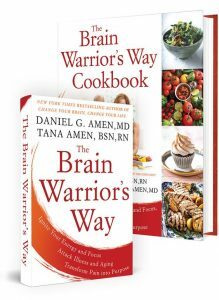 Dr. Daniel Amen:	So, let's ... those of you listening, have you ever had a brain injury? And one of the things that I learned after I started looking at the brain, is you have to asked people, literally, ten times, whether or not they ever had a brain injury, and initially many people say, "No." And then, when you go, you're one, when I asked you, "Did you ever had a brain injury?" after looking at your scan, 'cause you hurt your left temporal lobe and you went, "No," 'cause you're thinking of a brain injury. Tana Amen:	So, I have a gripe with this TBI term. So, I have a gripe with the term traumatic brain injury. Now, I get it, technically it's correct, but as somebody who works in the hospital, I mean, you've heard me say this before on other podcast if you listen to our podcasts, but as a nurse who works in a hospital, as a neurosurgical ICU nurse, when you say the word TBI, we're talking people in the ICU with their heads split open or with a drain in their brain. So, I almost wish we had a term to differentiate. Tana Amen:	Or how bout conscious, close-brained TBA? I would be okay with that, then I would think of it differently. Tana Amen:	But I did hurt my frontal lobe. Tana Amen:	So, I knew it. I would have been a complete genius. Tana Amen:	And the whole reason you asked me, and you kept asking me was 'cause you could see the damage to my frontal lobe and to my left temporal lobe on the scan, and you're like, "No, I can see it. What happened, something happened?" And you kept pressing and I'm like, "Nothing. I've not done any ... I haven't fallen out of tree, I've never lost consciousness, never broken a bone." 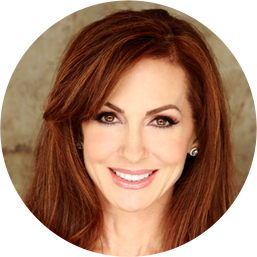 Dr. Daniel Amen:	And then tell everyone what you then told me when you remembered. Tana Amen:	Okay, so if you have listened to our other podcast you've heard this, but we were driving and we were on a very isolated country road and my sister was driving and I was asleep, and so I had the seat back. Thank god I had the seat back, or probably would not be here talking to you today. But she fell asleep at the wheel and she was going about 75 miles an hour and flipped the car. Dr. Daniel Amen:	Three times. Dr. Daniel Amen:	So, just think, you're laying back, your brain inside your skull is going 75 miles an hour, and then she falls asleep, the car flips over two and half times. So, just think about what's happening to the forces on your brain inside your skull, so it's twisting and then when it stops, the roof caved in, right? Tana Amen:	Yeah, and there's a good chance I hit the center divider. I woke up, so I don't recall everything. Dr. Daniel Amen:	So, 75 miles an hour, it's twisting and then all of a sudden, boom, it stops, slams up against your frontal bone, back against the occipital bone in the back, back against the frontal lobe. I mean, it shakes with a lot of force and even though you wake up and you're grateful you're not dead, you can see evidence years later that it could have impacted you. And most people don't know that mild, right? I mean, there's nothing mild about that, but mild traumatic brain injury can be associated with depression, as you've talked about on the show. Was that before the depressive episode or after the depression? Tana Amen:	No, the accident was after. Dr. Daniel Amen:	So, Lincoln who suffered with some severe depressive episodes, he was suicidal twice in his life, was kicked in the head by a horse when he was ten years old and unconscious all night long. And so, was that a major TBI? I would argue probably so, but it was a closed brain injury, so we're on the same page with that. So, I just want you to ask yourself, have you had a significant brain injury, 'cause when we come back, we're gonna begin to talk about the fallout from traumatic brain injuries, and then as we go through the week we're gonna talk about what can you do about it, to rehabilitate your brain in the best way possible. Stay with us.